Arrive on time. White and Asian South Africans are especially punctual. You are expected to greet everyone in the room individually – even if the group is large. Exchange business cards after a formal introduction and take a recognisable moment to examine the content of the card you are given before putting it away. Initial meetings are often used for partners to familiarise themselves with one another and establish business relationships. Expect a South African to be well prepared with a plan and structure of how they want the meeting to go. An Afrikaner’s approach to business negotiations and their expectations of what will be achieved can be perceived as quite stubborn to an Australian. Keep in mind that this is simply a different business communication style; they appreciate and value directness for the sake of clarity and mutual understanding. During discussions, give your full attention to the person speaking and listen courteously. Respect is paramount. When making a suggestion or criticism, comment on the idea and not the person voicing it. Avoid showing favour or preference to certain person, giving everyone an equal opportunity to speak. Do not interrupt people when they are speaking or displaying heated emotions. Expect negotiations to move slowly. Reaching a win-win result is the ideal outcome of a meeting for a South African. It should be considered that in South Africa, people do not instinctively trust each other upon first meeting one another. Therefore, it is important that you establish healthy business relationships with South Africans in order to build trust. They generally do not yearn for a strong personal friendship, but rather a mutual understanding. If you exhibit respect to everyone equally and find common ground, you are likely to gain more traction. If a South African is not familiar with the reputation of your company or they cannot find enough background information to support your claims of character, they will be wary of doing business with you. Therefore, try to get someone that can vouch for you to give you a formal introduction. As trust is often an issue in South Africa, people tend to speak in a very direct, honest way during business negotiations. Any ambiguity or vagueness on your behalf may be interpreted as a sign of untrustworthiness, dishonesty or lack of commitment. Furthermore, contracts and terms should be explicitly detailed to assure them that the deal is transparent. Workplaces are hierarchical in South Africa, and those in the higher positions make the final decisions after consensus with subordinates. South Africans are generally very loyal to their companies and job as employment is so scarce in Africa and often stay in one company for the duration of their working life. Therefore, those in the higher positions have usually worked extremely hard to earn their position. Strategies based on short-term solutions for quick gain are not preferred as South Africans would rather see a durable business approach that may take more time and patience. South Africans aim to avoid confrontations in business as much as possible, so do not press them on areas they are visibly uncomfortable with or intentionally provoke them. High-pressure tactics are generally unsuccessful. The unemployment rate is very high in South Africa, so your South African counterpart may ask for personal favours that entail employment for their family members. You do not need to feel obliged to do this if it puts you in an awkward position. Refusing should not damage your business relationship with them. On the Corruption Perception Index (2017), South Africa ranks 71st out of 180 countries, receiving a score of 43 (on a scale from 0 to 100). This suggests that the country’s public sector is moderately clean from corruption. 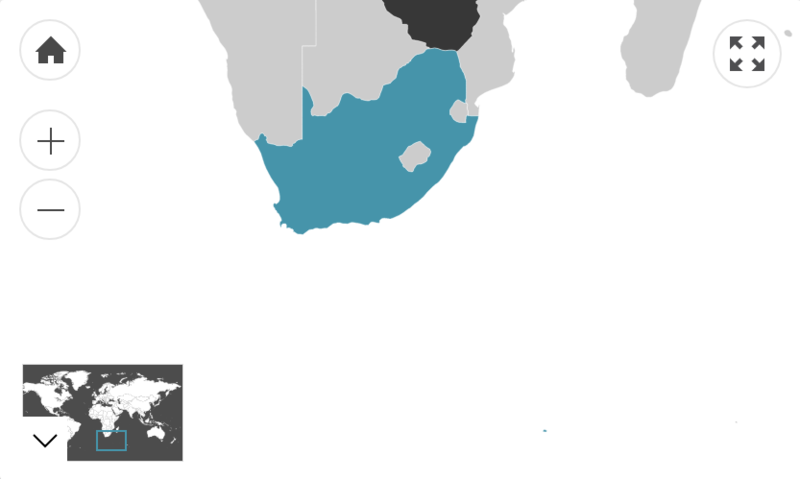 This figure refers to the number of Australian residents that were born in South Africa. Of those who speak a language other than English at home, 97.5% speak English fluently.